Many countries have well-established nuclear programmes and are grappling with similar issues in nuclear decommissioning and remediation. There is a consensus that sharing expertise and knowledge benefits us all in our commitment to dismantle redundant facilities as safely and quickly as possible. The UK's nuclear programme was one of the world’s earliest, which means our decommissioning mission has been under way for longer than many other countries. As a result, we’ve developed expertise that can be shared and marketed. Dialogue with a wide range of international partners dates from the first days of the NDA’s creation back in 2005. It offers huge mutual advantages, such as giving us access to good practice that other organisations have developed, and vice versa. Essentially, this saves us from 'reinventing the wheel' and provides better value for taxpayers' money. 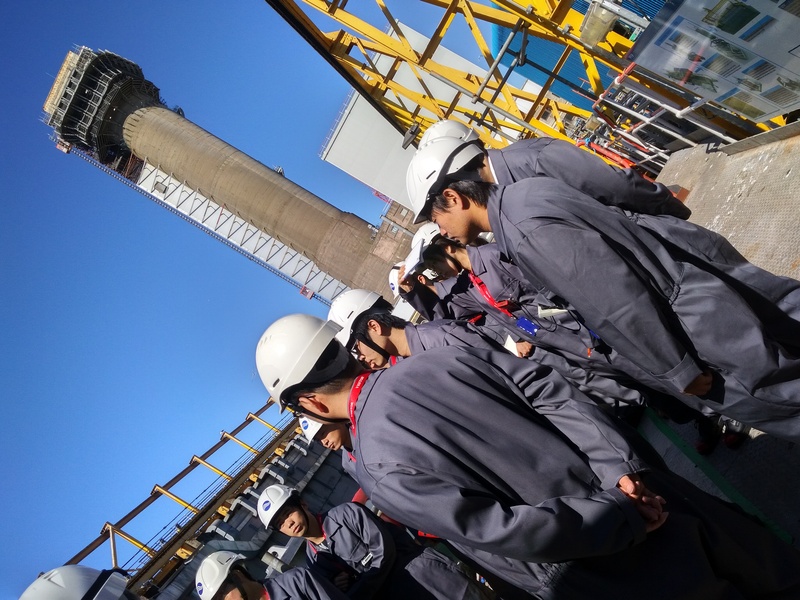 There is particular interest in our work from a range of organisations in Japan, where the decommissioning and clean-up of Fukushima is a priority. Our Strategy Director Adrian Simper is closely involved in initiatives to share and learn as well as support UK companies who have expertise that could contribute to the work abroad. We do much of this international partnering through bilateral agreements which allow for the exchange of information both ways. A good example of collaboration is with the US Department of Energy’s Office of Environmental Management, the US equivalent of the NDA, which is addressing the American Cold War environmental legacy resulting from 5 decades of nuclear weapons production and government-sponsored nuclear energy research. managing large projects, such as the construction of the Savannah River Salt Waste Treatment Facility, and comparing these with the commissioning of projects like the Evaporator Delta at Sellafield. We've seen senior staff exchanges from both sides of the Atlantic. The NDA also works with the International Atomic Energy Agency (IAEA), Nuclear Energy Agency (NEA) and the Organisation for Economic Co-operation and Development (OECD) by providing subject matter experts from across the NDA Group to help develop global standards and guidance in waste management and decommissioning. 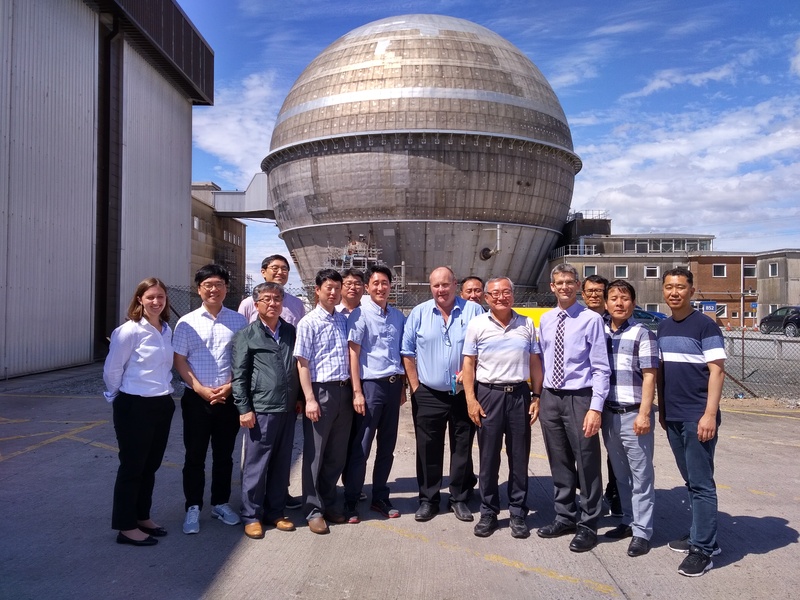 We also work with our sponsoring government department (BEIS), the regulators and others in the nuclear industry to co-ordinate the UK’s overall approach to international engagement. Our international work also aim to maintain good relations with overseas stakeholder communities in countries such as Ireland and Norway, who are interested in our activities. 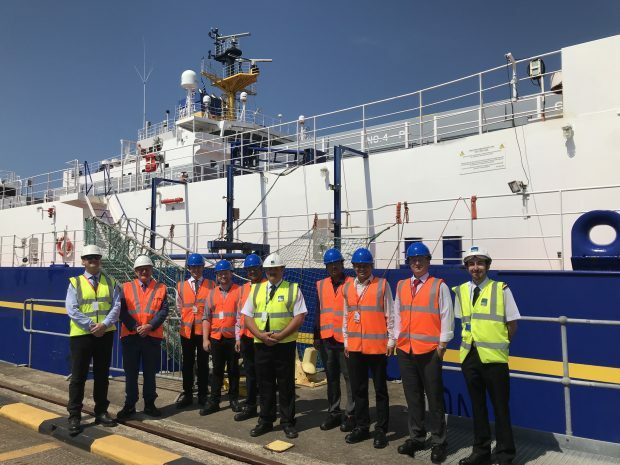 And in support of our supply chain, we work with the Department for International Trade (DIT) to help promote UK plc, showcasing the work undertaken on our sites by UK companies to overseas organisations. A good example is in Japan, where we work with our nuclear services and shipping subsidiary, International Nuclear Services (INS) Japan, and the UK Embassy in Tokyo to help UK companies secure business, for example, at Fukushima Daiichi. In the months ahead, further visits are scheduled from representatives of organisations in Germany, Japan, the US, Ukraine, Korea and Ireland.